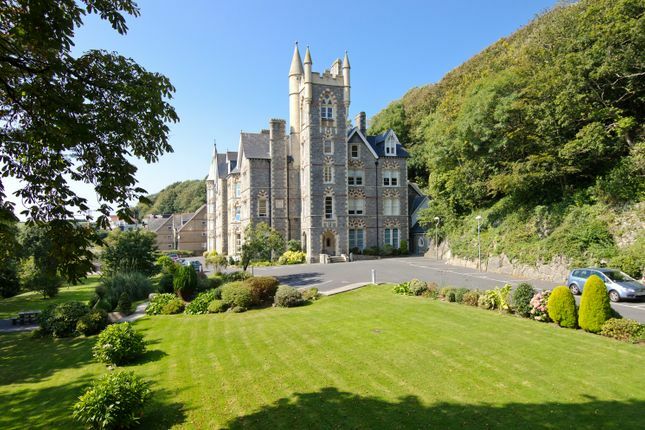 A delightful one bedroom apartment located on the ground floor of the Victorian grade II listed Langland Bay Manor, situated in an elevated position less than 100m from Langland Beach. The village of Mumbles is 1.5 miles away, providing an array of boutique shops, bars and restaurants. Langland Bay golf course and Langland Brasserie are within 100 meters of the property. The accommodation briefly comprises:- entrance hallway leading to all rooms, light and spacious living area with high ceiling and a large bay picture window overlooking Langland Bay and Langland Golf Course, a light and airy bedroom with large picture window to the rear with fitted wardrobe and en-suite shower room, and further bathroom. The apartment has communal gardens and a dedicated parking space and further guest parking is available within the grounds. 16’2 x 14’3 A light and spacious area with large bay picture window overlooking Langland Bay and Langland Golf Course. High ceiling with coving and ceiling rose, dado rail. Fully tiled with white suite comprising low level w.C., pedestal wash hand basin and bath with shower over. Limestone flooring. 16’5 x 12’11 The kitchen area is comprehensively fitted with integrated appliances, whilst an addition utility area, accessed from the kitchen provides further units, washing machine, tumble dryer and additional sink and drainer. Dark oak flooring. 13’8 x 12’9 An elegant and light room with a large picture window to the rear of the building. Fully tiled walls and Limestone flooring. Low level w.C, wash hand basin and shower cubicle. The property has communal gardens and one dedicated parking space in front of the building, whilst further parking is available within the grounds.